Jordan Chiropractic aims to educate our patients about Chiropractic and other natural solutions to common health problems in order to motivate you to take a more active and responsible role in restoring and maintaining your own health as well as the people around you. As a chiropractor, Dr. Jennifer Jordan understands that although our patients may be diagnosed with the same condition, they respond very differently to treatments. For this reason, we tailor a specific plan of action to meet your needs, goals & unique medical and physical condition. Finding a chiropractor who understands changing health care needs and the most current techniques and approaches to addressing health problems can be a daunting task. Dr. Jordan is currently the only chiropractor in south eastern Connecticut with her Certified Chiropractic Sports Physician® certification. It requires the doctor to attend 100 hours of a postgraduate program followed by an examination. This instruction is specific to physical fitness and the evaluation and treatment of injuries encountered in sports. The CCSP® accreditation exists to provide a uniform standard of education that assures teams and athletes that the doctor has met a level of competency in chiropractic sports medicine. 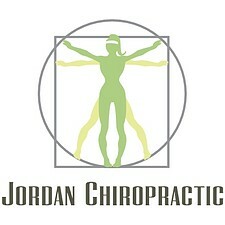 Dr. Jordan joins over 5000 others internationally who hold this designation. You may be looking to obtain optimal health, maintain your current health, or you may want to improve your quality of life by reducing pain, changing your diet, decreasing your stress levels, increasing physical activity, or just changing the way you think. Whatever the reason, we want to support your commitment to health and prevention by offering a variety of health enhancing choices. We hope that you will find this site helpful in learning more about our gentle chiropractic care as well as the ways that it can improve the quality of your life. Jordan Chiropractic is conveniently located on the Boston Post Road in Waterford, CT. To find out more about our services contact Jordan Chiropractic today at 860-439-0597.